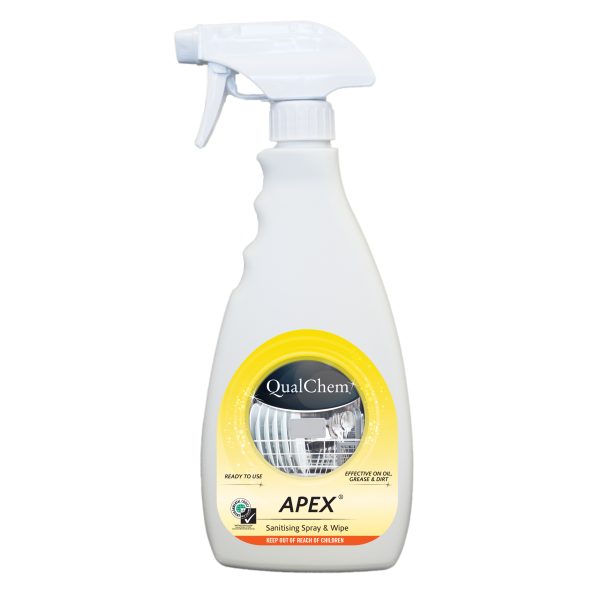 APEX 500ml is a clear blue, all purpose spray and wipe with a pleasant fragrance. Effective for removing oil, grease, fat, rust stains, carbon and dirt from most surfaces. 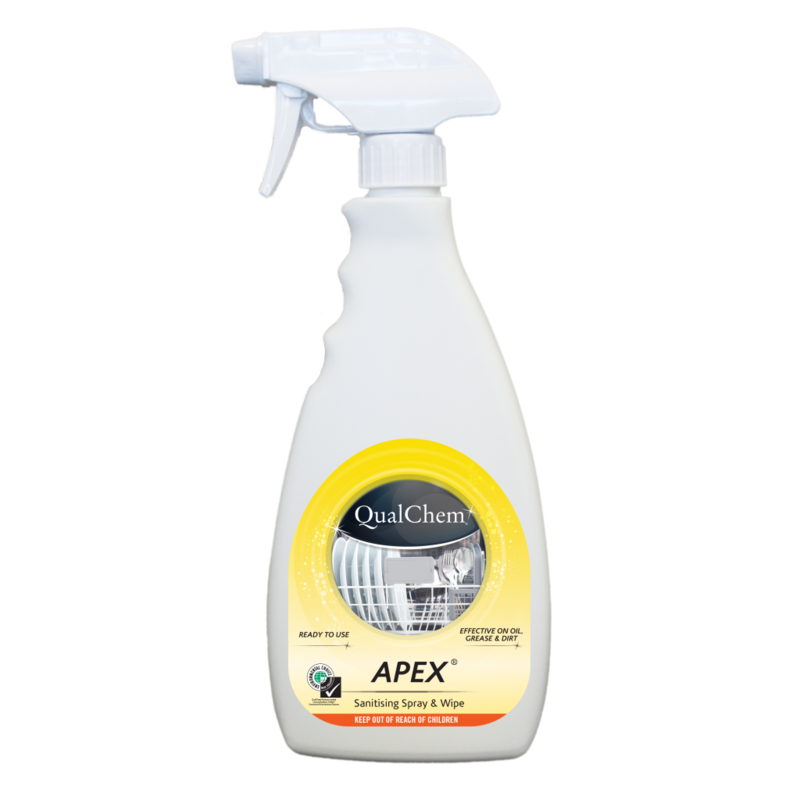 APEX can be used on any washable surfaces - walls, tables, benches, work surfaces, etc. Spray APEX on washable surface. Wipe off with a damp sponge or clean cloth. Always rinse painted surfaces with water.